When baking for a bake sale you need to appeal to the children. The children are the ones that really drive the sales we all know that. Our school bake sale is a little fundraiser for the PTA and I wanted the PTA to get the most they could during their bake sale so I baked up some sugar cookies that I was certain would appeal to the children. 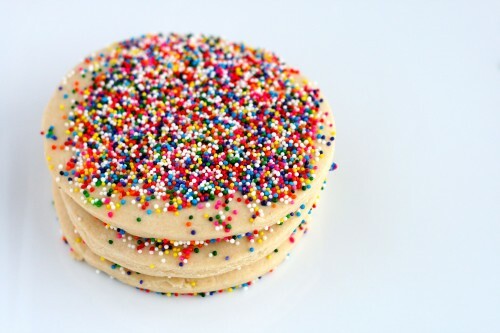 Sprinkles are the secret. Doughnut makers have known this for years. If you cover it in sprinkles the children will want it. Also make the cookies jumbo sized. Jumbo cookies make children happy too. This cookie recipe is perfect for rolling out and cutting into shapes. 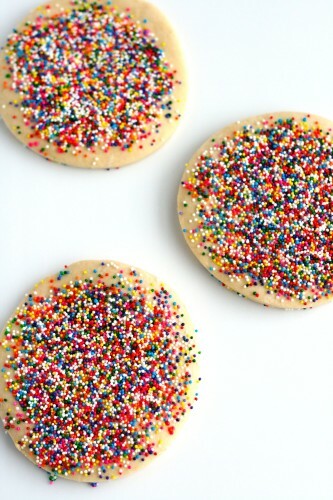 To make these jumbo cookies I used a 3-inch circle shape cutter. You can use any shape you choose. 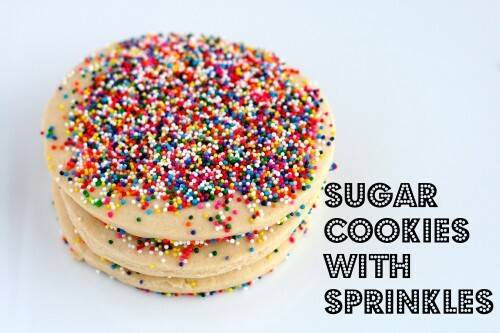 Jumbo sprinkle covered cookies will sure be a hit wherever you serve them. In a medium bowl whisk together flour and baking powder. In the bowl of a kitchen mixer, beat together unsalted butter and sugar. Once mixed well, add in egg and vanilla. Add in flour mixture about a cup at a time. Mix until dough forms and begins to clump together. If it appears crumbly keep mixing it will come together. Roll dough into a ball, wrap with plastic wrap, and allow to chill in fridge for 30 minutes before using. To roll dough place between lightly floured parchment sheets. I like the cookies between 1/8 -1/4 inch thick. Place cut out shapes on parchment lined cookie sheet. 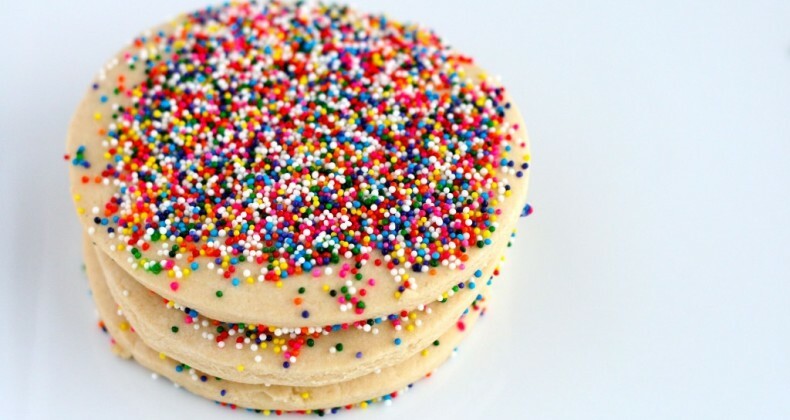 Brush tops of cookies with water and cover in sprinkles. Put cookies sheet in freezer for about 5 minutes. Bake for about 8 minutes. Let sit on the cookie sheet for a minute or two to set before placing on cooling rack. they look like such a good crowd pleaser! You’re right about kids loving anything jumbo and with sprinkles. This is something my kids would devour.